Your home is the sanctuary of your family. Although it is the place in which you live, “home” is also sheltered by a building. You love your house. You clean it, decorate it, and make memories inside it. You want to keep your home standing strong for years to come. When it comes to caring for your home, there are a few common threats of which you should be aware. “Better safe than sorry” is a good motto, when you’re protecting your family’s futures. Nothing is too much to ask. Most home-safety tips, however, are easy to incorporate. Nothing is too good for your peace of mind, so when it comes to a safer home, consider a few of these tips. 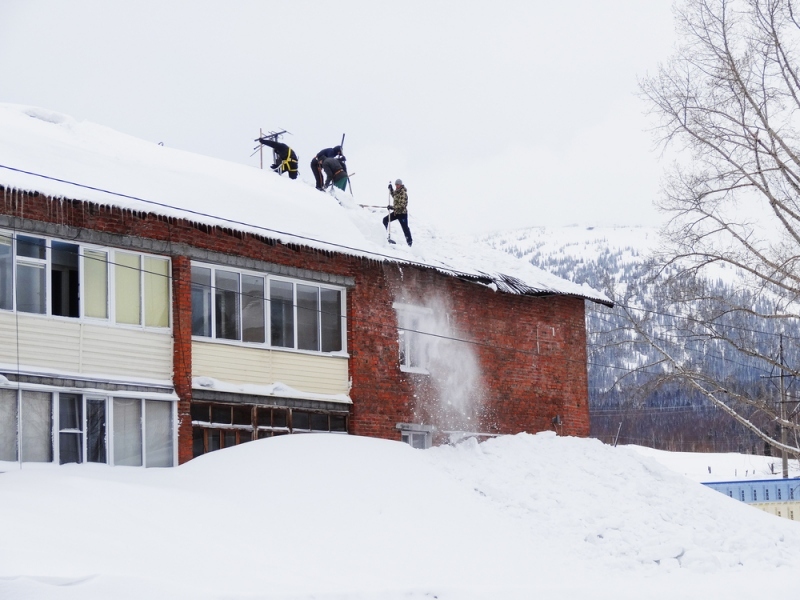 We don’t often think of snow as a serious threat, but snow and ice could be damaging your home every year–especially your roof. At the start of every spring, it’s important to check your roof for tears or rotting. If snow is a serious concern in the area where you live, you may want to consider installing residential metal roofing. Metal roofing help keeps snow off your roof, since most precipitation will slide off. If you live in a warmer climate, you run an increased risk of termite damage. Termites burrow into the foundation of homes, causing instability. Signs of termite damage include piles of “sand,” small holes in your woodwork, hollow-sounding walls, and unexplained cracks. Usually, however, these signs are also an indication that it’s too late. Consult with a pest control company and get your home protected against termite damage. Recent wildfires on the West Coast have resulted in wildfire soot and smoke-related particles. These particles can deposit on homes and work their way inside through vents, windows, and doors. To stay safe from the impact of wildfire-related particles, contact a company who specializes in fire particle safety. They can evaluate the impact a wildfire has had on your home, evaluate the contents of your building, and and give you recommendations for how to clean and mitigate after the disaster. If you have frequent problems with flooding in your basement, or you live in a low, wet area, you’ll want to make sure your basement is protected against water damage. What’s manageable one spring could turn into a massive problem the next, and even your washer, dryer, and furnace could be ruined in a flood. It’s a lot less expensive in the long run, you should consider having your basement proofed against water damage. Keeping your home safe isn’t just a matter of turning off your stove and locking your doors. When it comes to home repairs, it’s better to take care of them before they happen. Water damage, termites, snow damage, and wildfire particles are all a threat you should take care of before they have a chance to worsen, or appear at all. Taking care of your home should be a top priority, so don’t wait to protect it against the elements.